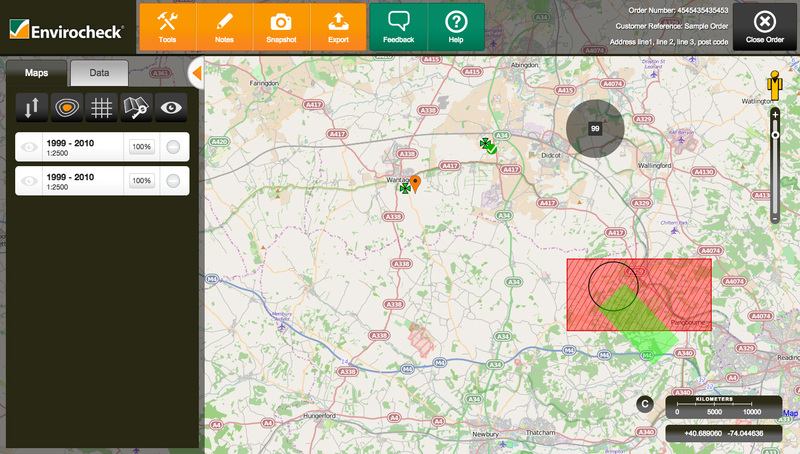 Envirocheck is an online geographical information system (GIS) specialising in the provision of environmental risk information and historical map analysis to professionals. The brief was to improve the user experience of using the tool, and increase the uptake of the service. The service was already well-liked and had an established user base, so we needed to really come up with good enhancements and solutions to complex workflows without alienating existing customers. I started by reviewing the current tool, and moved on swiftly to functional and user testing with Envirocheck users. I used guerilla usability testing with Silverback, which meant we were agile and able to quickly harness crucial feedback from users in realtime. This led to my report detailing our findings and recommendations for improving the features and workflow for the service. Next up I just sat down and started making some sketches – soon I had my Field Notes booklet full of a few ideas of how to arrange the interface! After that I worked iteratively with Landmark to create user journeys and wireframe up the proposed interface, to a fairly high-fidelity. During this process I uncovered further requirements based on the expert subject knowledge of our client, and made sure that I designed these into the interface and user flows. Once we felt we had that locked down, we moved onto UI design, where I worked with the design team to add the interaction layer to the interface. Finally I developed the HTML/CSS/JS UI templates for handover to the technical team at Landmark for integration into their system. On relaunching, the uptake on the service rose by about 50% and continues to gain new users whilst keeping existing customers happy.